With over 130 years of experience, Representaciones Marítimas – MARTIMEX – REPMAR is Mexico’s principal ship agency and provider of port and maritime transport services. Our values and traditions dates back to the end of the 19th century, and up until today, we have always been providing the knowledge, the technology, and the most qualified personnel in order to position ourselves as market leaders – this without ever losing our high quality and exceptional standard. 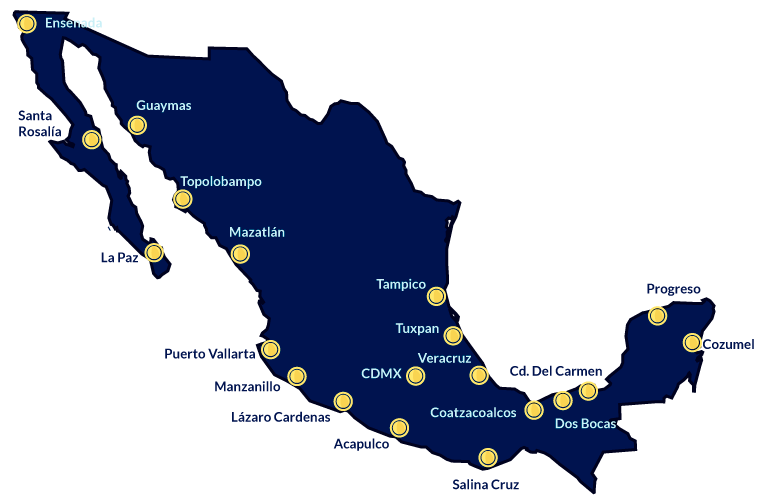 Our head office is located in Mexico City, moreover we have a network of fully owned port offices in all the main ports and terminals of Mexico. 23920, Santa Rosalía, B. C. S.